Tell us a little bit about yourself: Who are you, what do you do, and where are you located? 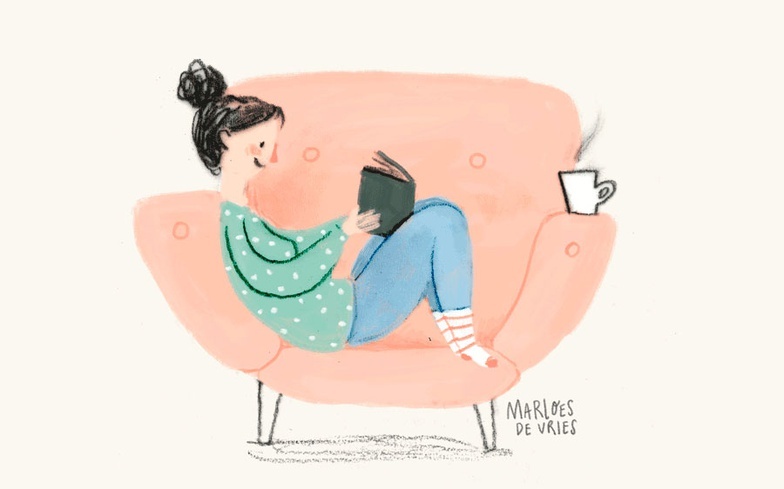 I’m an illustrator and author, currently living in Rotterdam, the Netherlands. I’ve been working as a freelancer for over ten years, starting as a graphic designer and art director in the advertising world, but I switched to illustration in 2010. Nowadays I work mostly for book publishers and magazines. I write articles for magazines and scenarios for comics, but I also write children’s books. How do you get into the “creative zone?” Do you prefer a particular place or time of day? I’m most productive in the mornings so I try to do all my ‘brain’ work before 12:00 am. After lunch I usually do linework and coloring of illustrations, and answering emails. I have to be honest here; I haven’t felt very creative in months so I’m taking a break in a few weeks to recharge my battery. I feel most creative when I’m far away from my computer and drawing table, preferably in a different country. I can be found in the UK when I’m not working in my studio. I’m the type of person that either works in fifth gear or hangs on the sofa like a bag of potatoes, although the latter rarely happens. You’ve worked with some huge clients and worked on some incredible projects, if you were forced to choose, which piece of work are you most proud of and why? I am most proud of my non-client work, especially the pieces I made for exhibitions. I can pour my feelings and thoughts in those pieces so I feel most satisfied when I create them. In March my book came out in the Netherlands, a collection of comics I made in the past few years. It’s a real honor that people buy my book and enjoy it! That was a project I wanted to do for a long time so I’m happy I got to do it. On a weekly basis I make a one-page comic for a girls’ magazine that is very popular in the Netherlands. 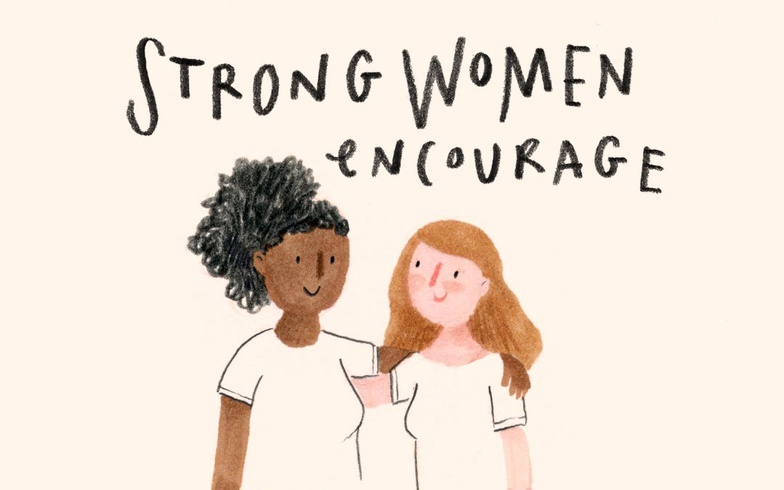 The magazine has a huge reach to young girls so I’m trying to teach little life lessons in these comics as well as encouraging girls that feel they are different from others. I want to make the kind of comic that I wished I had when I was their age. A painting of a woman made with gouache and pencil. 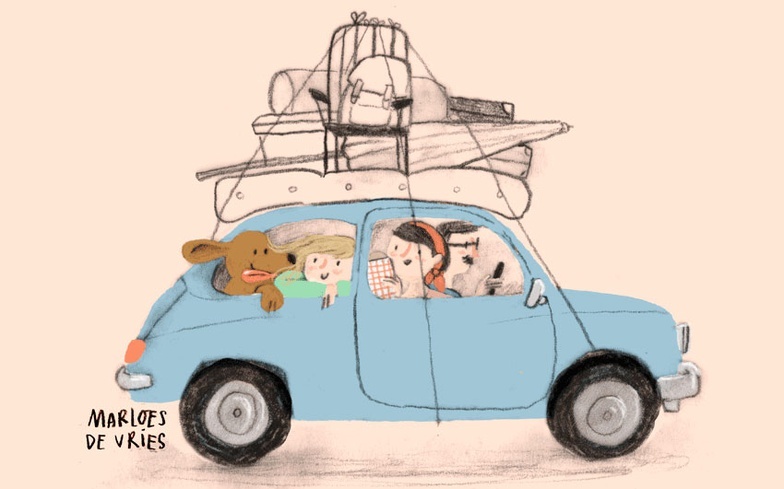 A GIF I made of a family going on vacation. A little painting I made with gouache and pencil. What tools, techniques or software do you use, either for work or personal projects? Why do you favor them? I’m all over the place tools-wise. I usually start with a mechanical pencil for sketching and when I can I use a mixture of watercolors, gouache, pencil and Photoshop for my illustration work. For one of my weekly comics I use Procreate for the linework and Photoshop and my Cintiq for the coloring. For the comics I post online I do the linework with a Zebra brush pen, shadows with sumi ink and the coloring again in Photoshop. I’m still not sure whether I’m very easily bored with tools or that I just haven’t found the perfect match yet for my work. Being a freelance artist can be incredibly stressful and scary, how do you cope with that? I’d like to think that I’m experienced enough to not worry about the stress freelance life brings but I think it’s only natural that you do. The worry keeps me on edge and keeps me questioning if what I’m doing is right for me. But it is key that the stress doesn’t control you. I’m the type of person that either works in fifth gear or hangs on the sofa like a bag of potatoes, although the latter rarely happens. To recharge I take a vacation of at least two weeks every year, by myself, somewhere remote with bad Wi-Fi. I take long hikes, stay away from work, don’t interact much with other people, read all the books I want to read and sleep a lot. I’m learning, still, how to relax more at work too. If you had no limit on time or resources, what project would you most like to work on? I love this question because it brings me back to what I am meant to do. 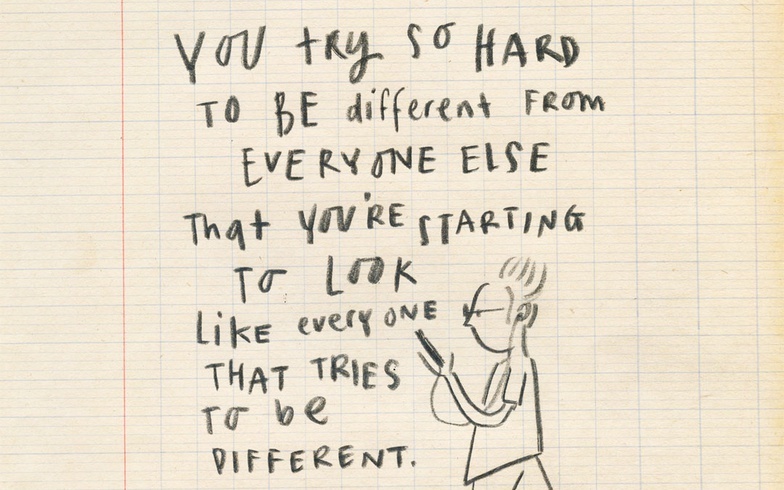 I like to make picture books, which I would write and illustrate myself, and I’d like to make more personal work. 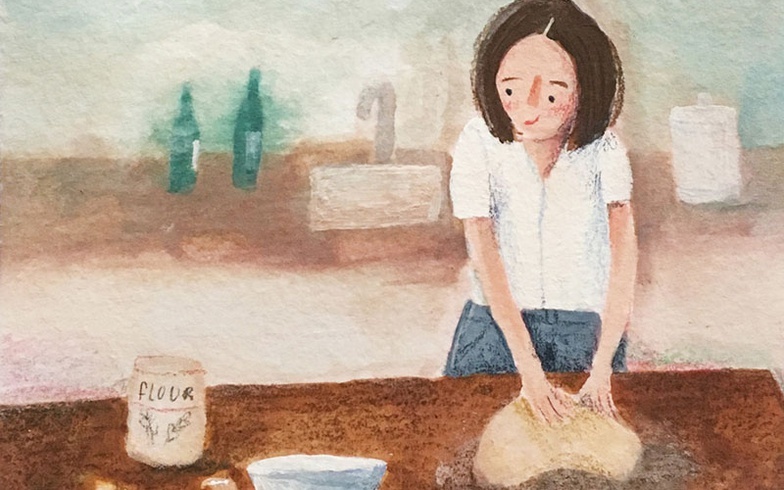 I have so many ideas for books, also non-fiction for grownups; on what life is about, what matters and how to deal with life when it overwhelms you. I’m trying to let go of worries about money and clients so I can focus on these projects more. Being drawn to certain artists, for me, is not only about the work they make: it’s also about who they are as a person and what they’re saying with their work. I very much appreciate artists who have a story to tell. What are your artistic ambitions? I’d like to learn more about how to apply lighting to my illustrations, I’d love to create an animation series with a good team, practice drawing more so I can draw with more ease, I’d like to paint big canvasses, draw portraits of people, write a script for a comedy, I want to write more books. I have so many plans, I’m not sure if I can fit it all in until I’m gray and old hahaha! Who are your favorite artists, traditional or digital, and can you explain why? 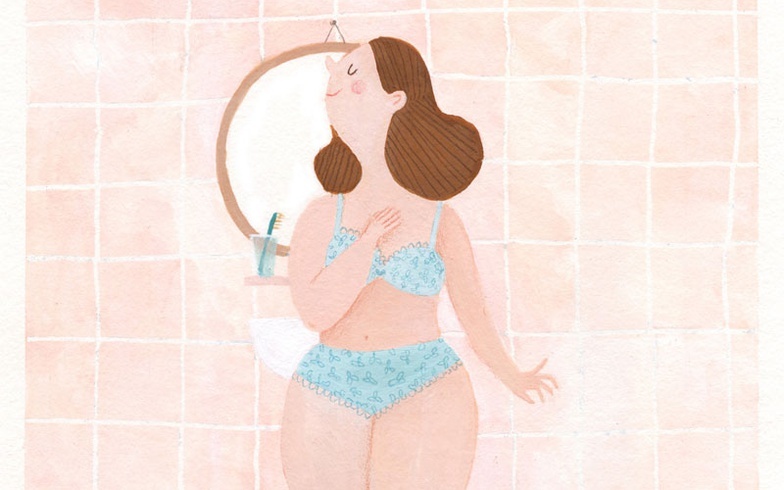 I love the work of Dutch illustrator Fiep Westendorp. She’s the reason I became an illustrator in the first place. Next to that I love Carson Ellis, Tove Jansson, David Hockney, Maira Kalman, Jon Klassen, Quentin Blake and Mary Blair. Being drawn to certain artists, for me, is not only about the work they make: it’s also about who they are as a person and what they’re saying with their work. I very much appreciate artists who have a story to tell. 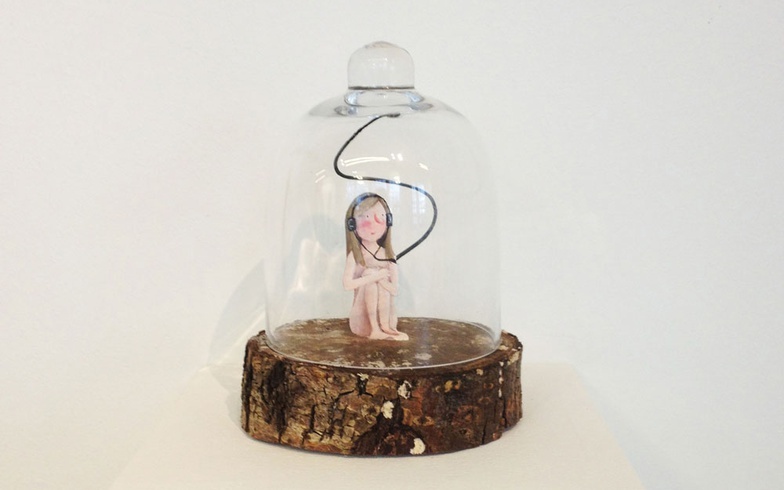 I painted a young woman with headphones and placed it under a glass bell with a little wire connected to it. It represents being shielded from the complicated world whilst still connected to it. Another GIF I made about having a moment to yourself. I’m taking a semi-break from social media because it was taking up too much time and pulling me away from making the things I want to make. So, I’m actually doing very little right now, besides my regular client work. I’m very fortunate to have weekly jobs so I can pay my bills so I don’t have to go find new jobs. I hope to have a better sense of what my next steps are going to be after I’ve regained energy and after my vacation. But I do hope more books!